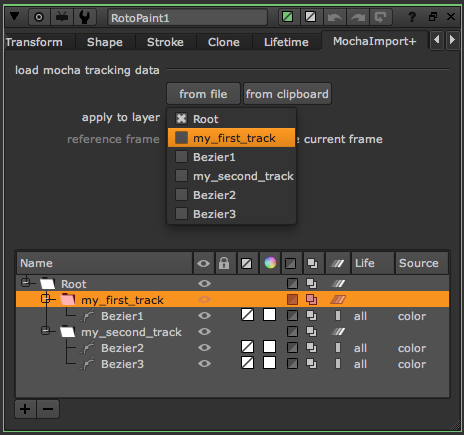 Simplifies the workflow between mocha and NUKE. Easy import of trackingdata into Tracker, Transform, RotoPaint, GridWarp and more. NUKE scripts still work on machines where MochaImport+ is not installed. The tool is only required if you want to load or replace the tracking data. 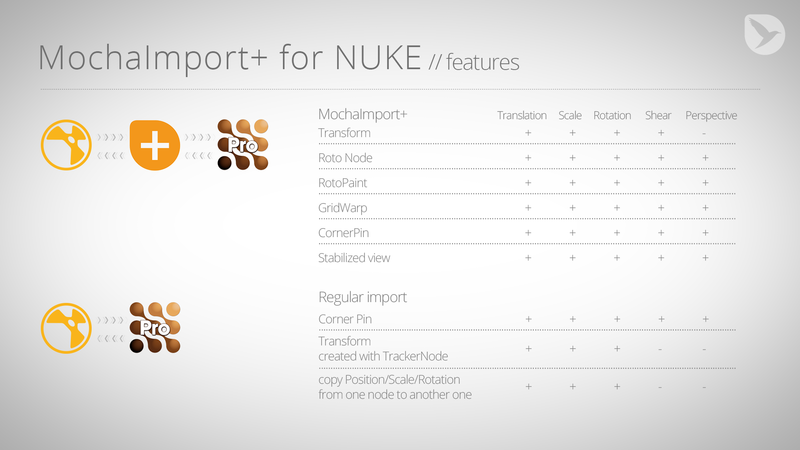 MochaImport+ for NUKE requires mocha Pro (any version that is able to export NUKE corner pin data) and NUKE 7 or NUKE 8. Some may say, “Well, I can do that in Nuke already with tools already available, why buy another tool?” The answer is: to make it a simpler workflow. Yes, you can act all smart and build node trees to do much of this. But outside of feeling smart, where does that put you? 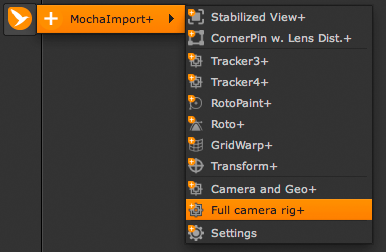 It puts you behind the compositor who used the Mochaimport+ tool to streamline the process. Instead of spending time building a node tree, that artist is already doing the art.